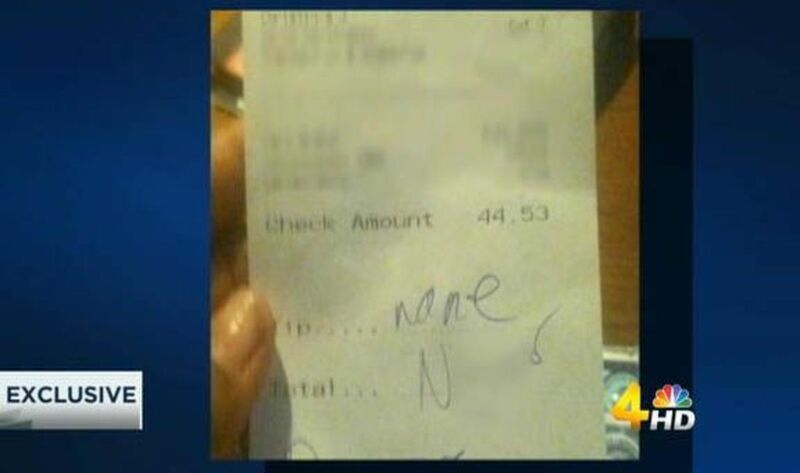 A waitress in Franklin, Tenn., recently claimed to have received a receipt from a customer with “none” writen on the tip line, as well as a derogatory racial slur written at the bottom. 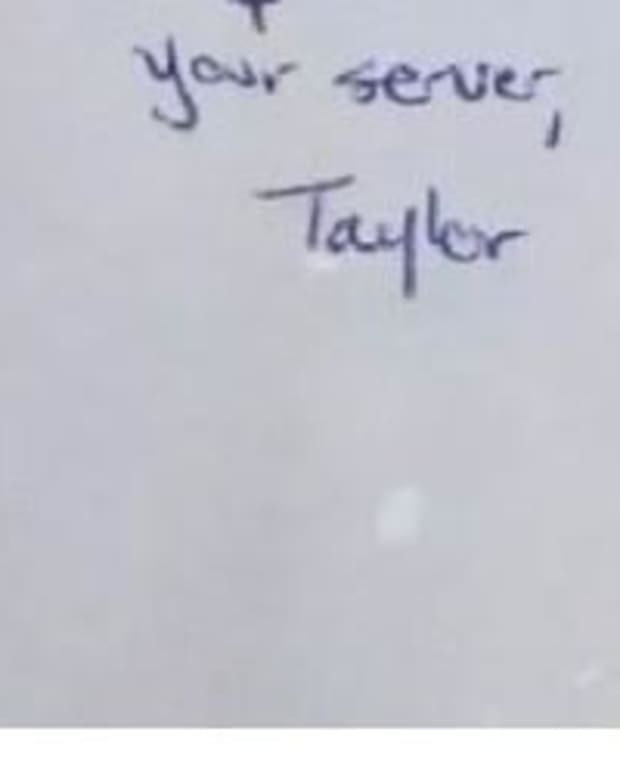 Now, however, a handwriting analyst speculates that the two words were not written by the same person. 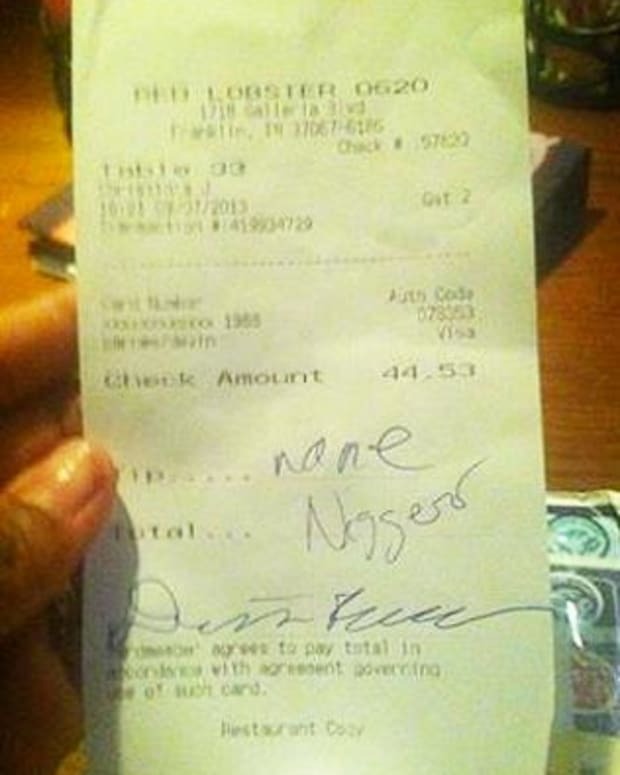 Another handwriting analyst believes that the racial slur was written by the waitress herself. 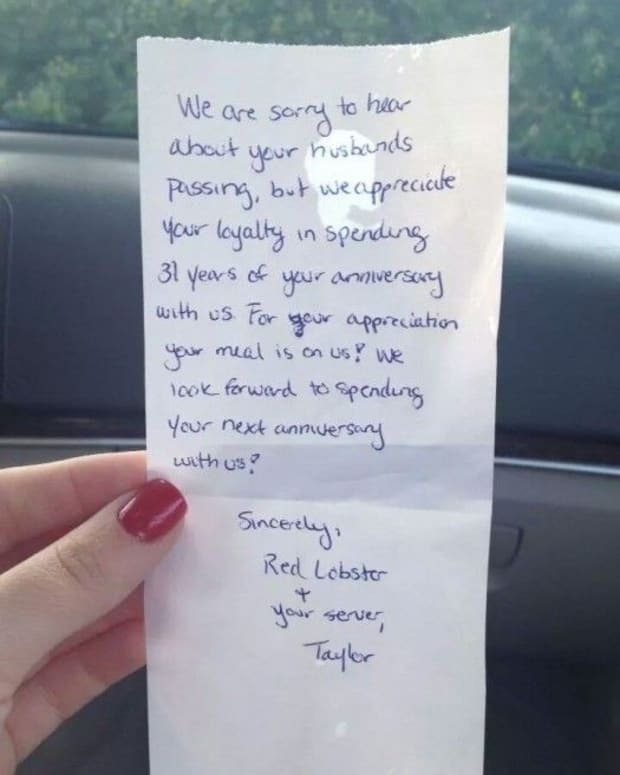 Toni Christina Jenkins, a 19-year-old nursing student and server at Red Lobster, posted a photograph of the receipt on Facebook (pictured below). 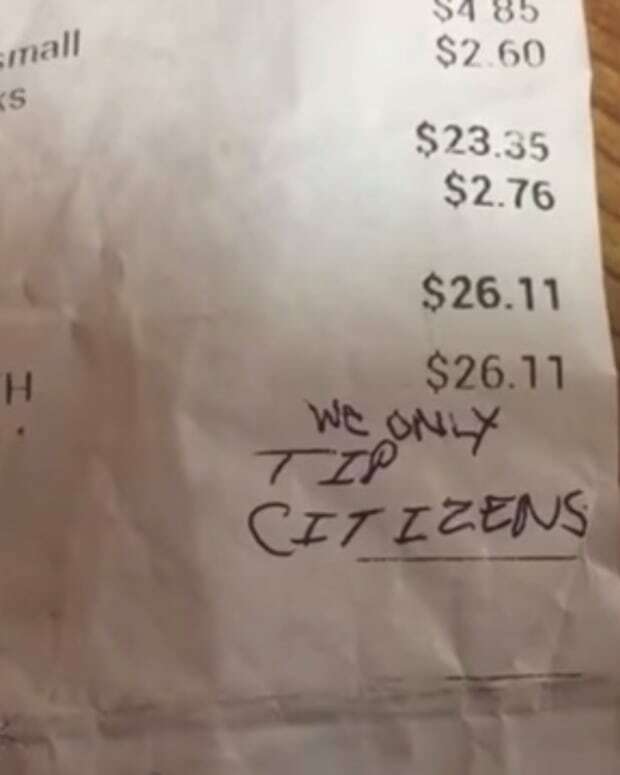 After her story went viral, Matthew Hanson of AddictingInfo.org created the online fundraiser “Tips for Toni.” Internet supporters around the world reportedly raised an astounding $10,749 for the waitress. 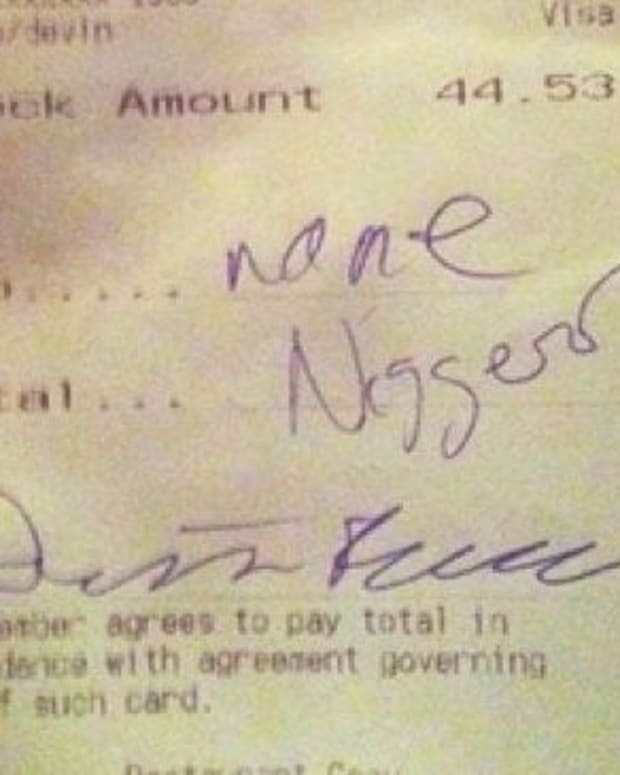 But the customer, 20-year-old Devin Barnes, denies ever writing the derogatory word. 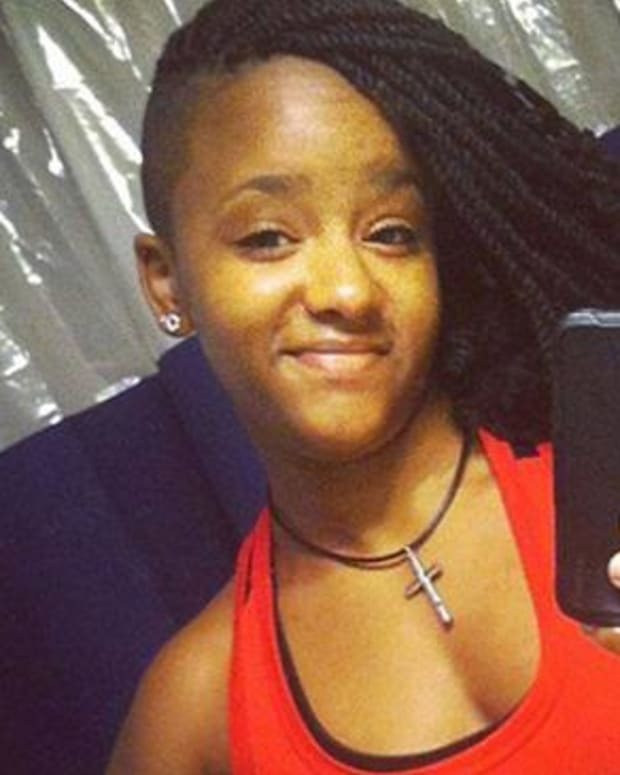 Barnes reportedly plans to file a lawsuit against the restaurant and the waitress. According to the Daily News, Barnes’ attorney hired forensic document examiner Thomas Vastrick to compare the handwriting on the receipt. 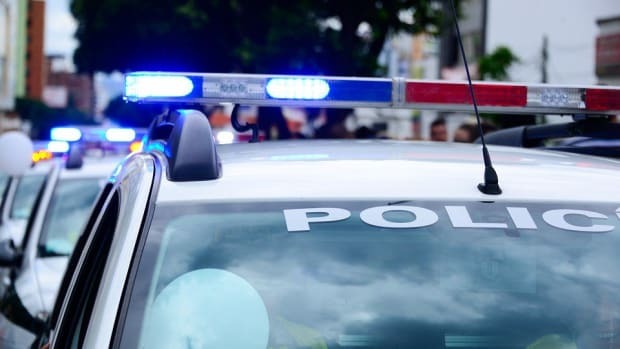 “I believe within a reasonable degree of certainty that the waitress actually wrote the word,” said forensic handwriting expert Bob Baier, who examined a sample of writing taken from the waitress’ Facebook account for TheDCNF. Vastrick also examined the handwriting of Barnes’ wife and found no similarities. 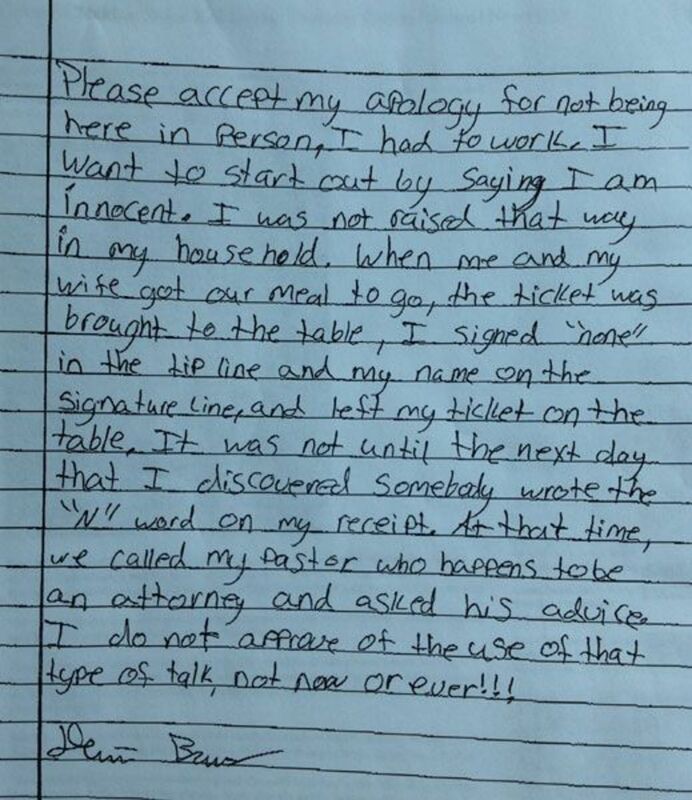 Following the incident, Barnes wrote a letter in which he denied ever using the racial slur. “I do not approve of the use of that type of talk, not now or ever,” Barnes wrote. 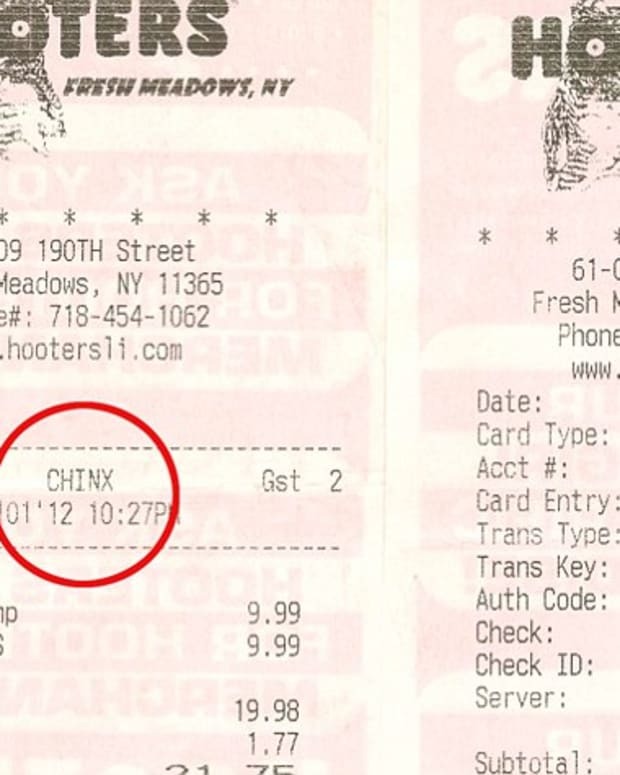 The letter can be read in its entirety below, along with a censored close-up of the receipt.